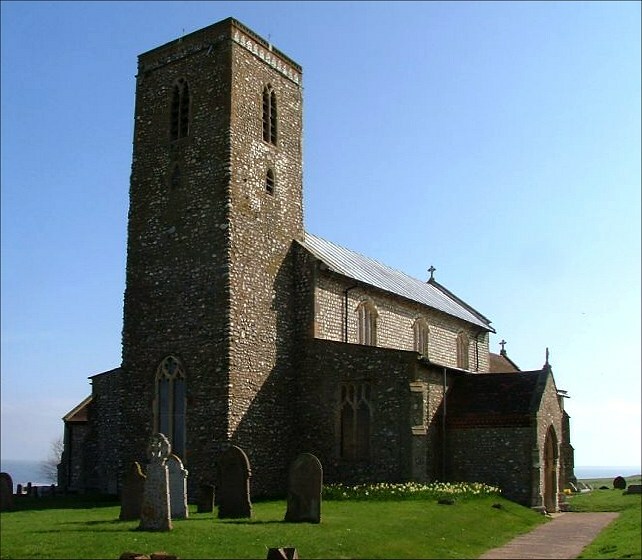 This large church sits in one of the most spectacular settings of any Norfolk church, sprawled on the cliff top between Cromer and Sheringham, not far from West Runton church. 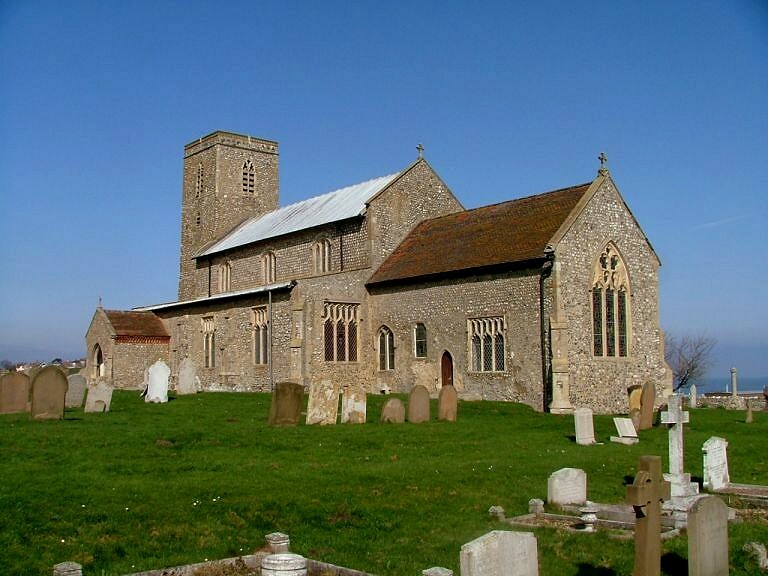 To the west is a large caravan park which you actually have to go through to get to the church, but this only seems to add to the singularity of the setting. 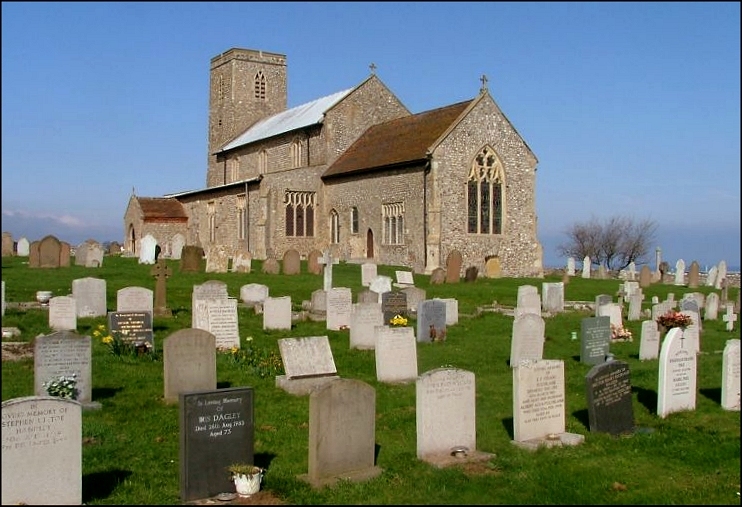 The graveyard is long and wide, stretching eastwards of the church, and a large bowling green to the south allows All Saints to ride its gentle rise with the sea behind, like a great ship. 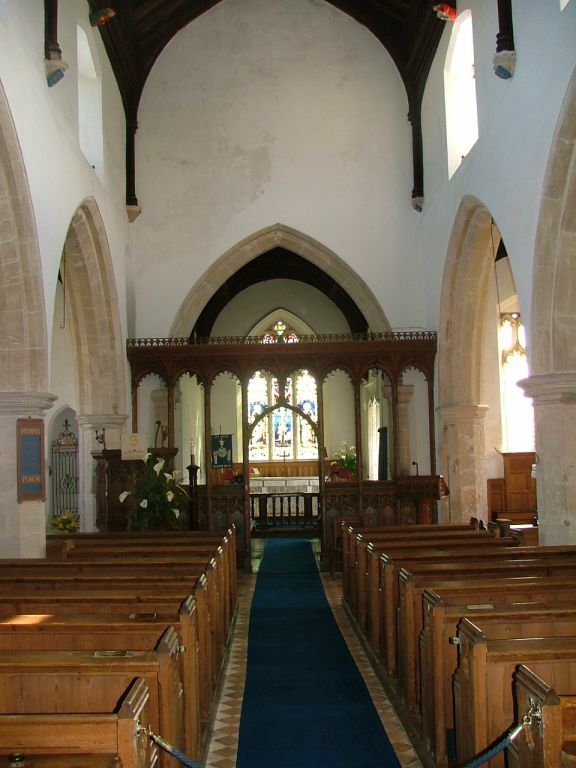 The clerestoried and aisled nave is like that of a great 15th century building, but the chancel is older, and grand in a different way; its Decorated 14th century lightness reveals the true age of the church, and certainly the feel that you experience inside. The tower is not grand, but its unbuttressed starkness suits this location. 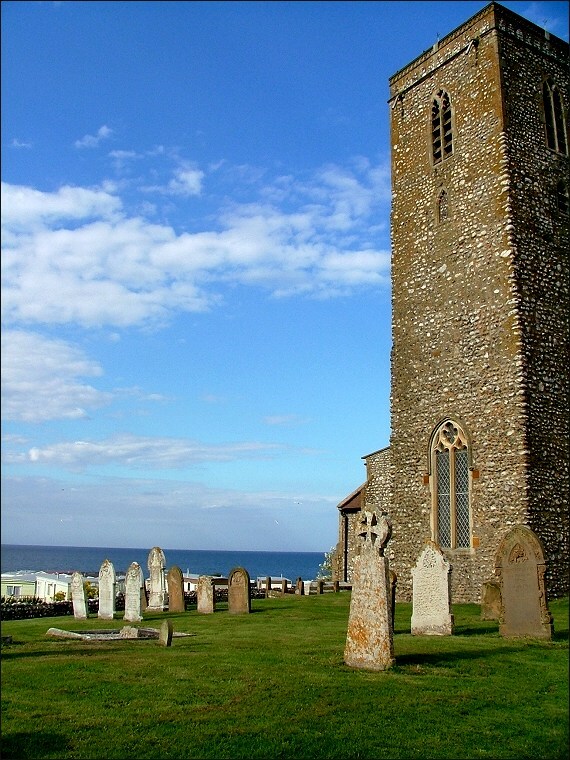 On this beautiful day in May, the North Sea was as blue as the Aegean, the clouds were light skeins that twisted and faded. We might have been in the Greek islands. 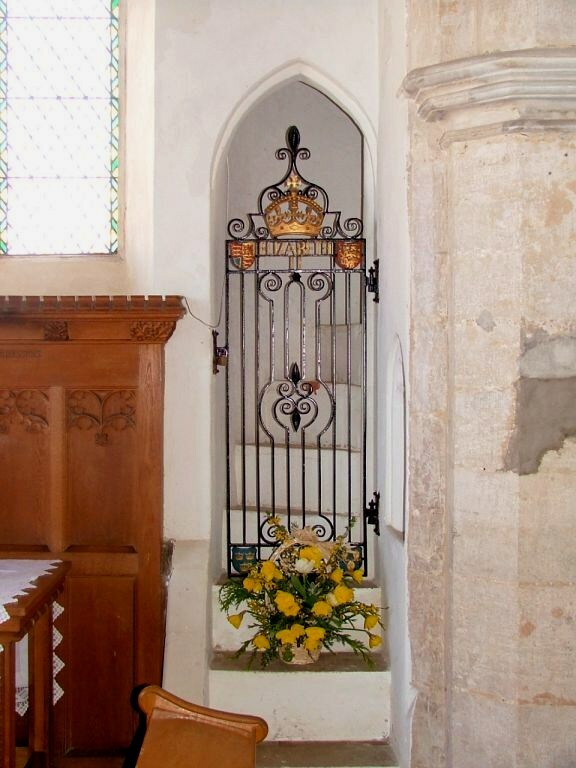 As you would expect in this area, this is a welcoming church, and is open to visitors every day. 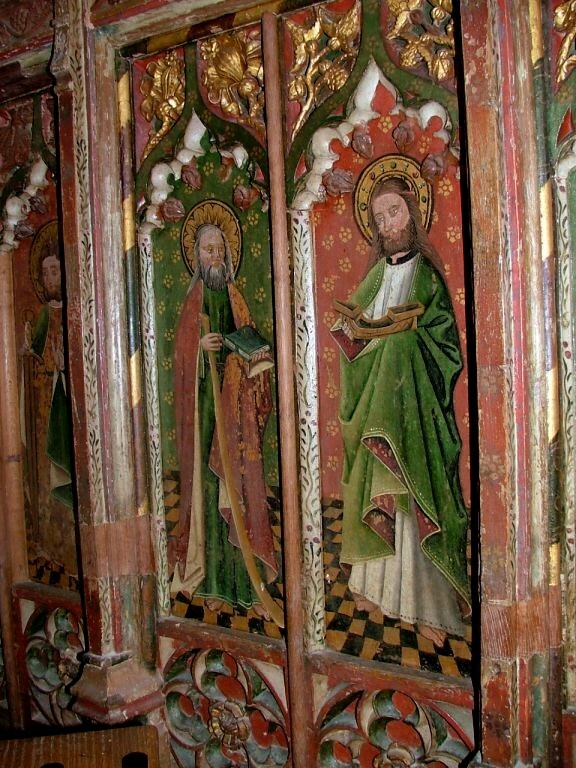 You step into a cool, dim interior that can be something of a relief on a hot sunny day. 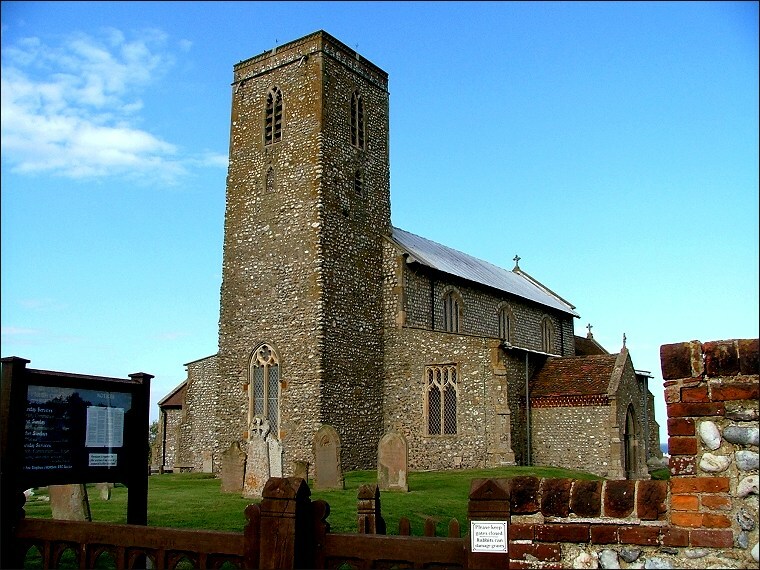 Most churches around here are fairly extreme, either Anglo-catholic or evangelical, but Beeston Regis appears to steer a middle path between the two. 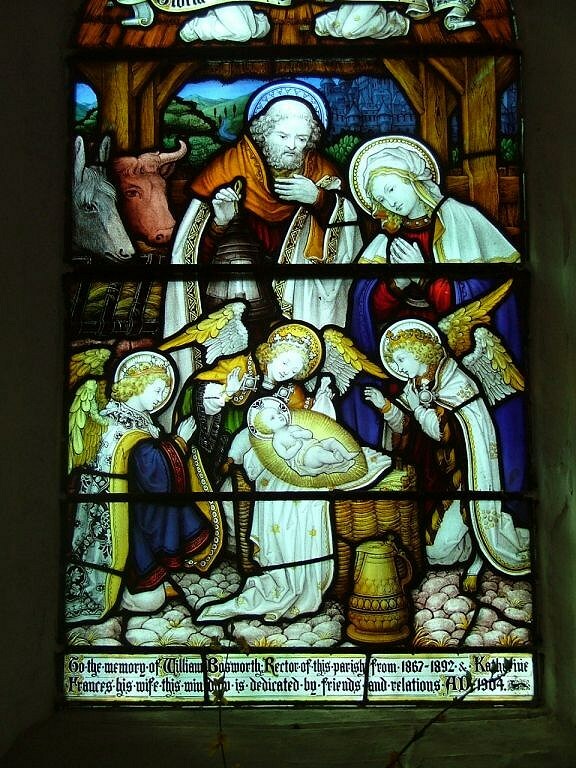 The interior is strikingly well-kept, as all churches seem to be in this area. 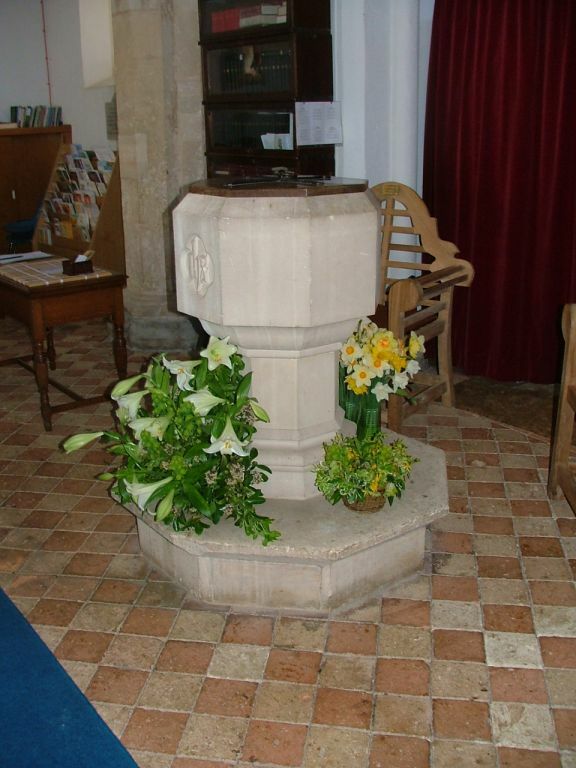 There is a delicious brick patten floor around the font, and the light wood and blue carpet are most harmonious. 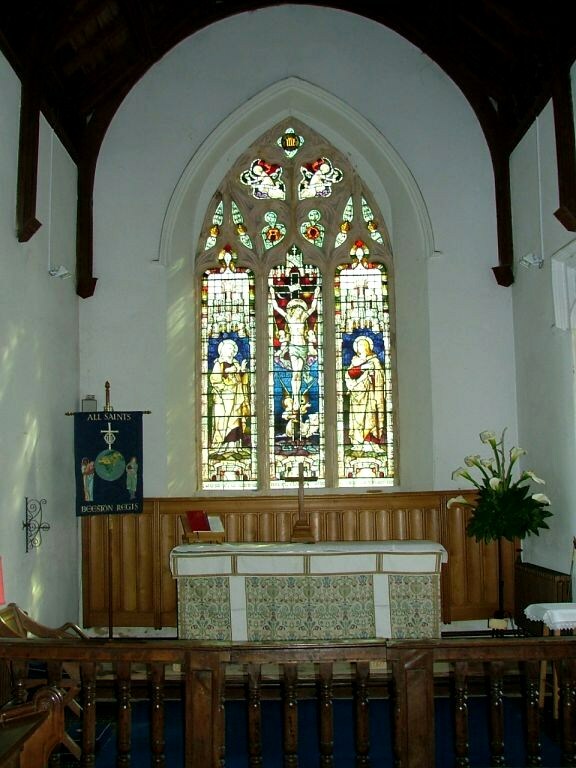 I hope that I will be forgiven for thinking it very Anglican. 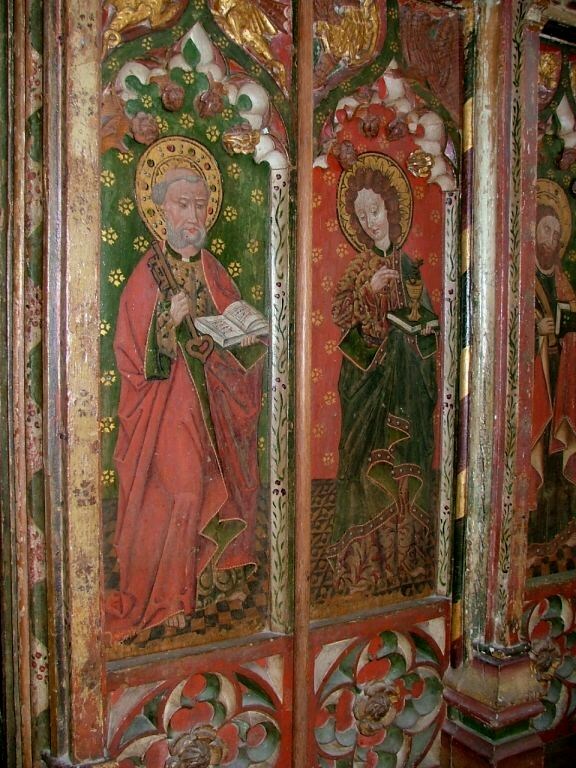 The great treasure of All Saints is its magnificent rood screen. 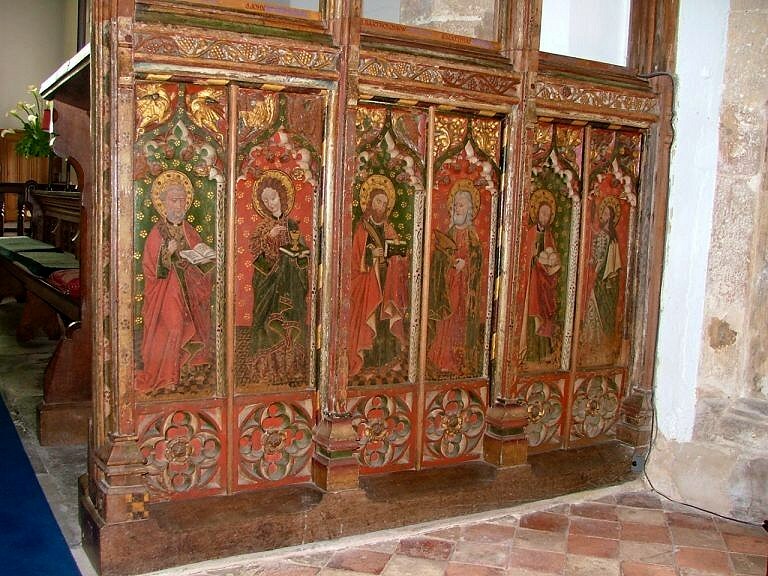 It is of the late 15th century, probably contemporary with the restoration of the nave at that time, and is delicately carved and intensely coloured. 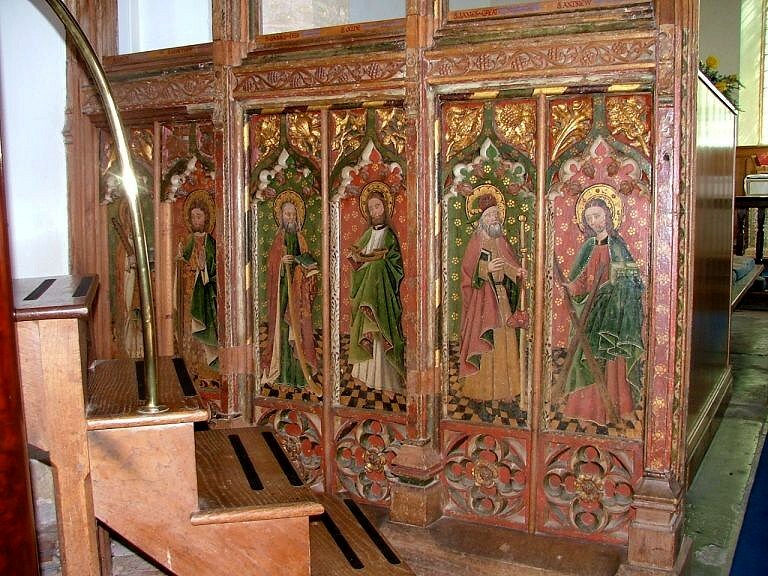 Pevsner observes that money was being left for the rood itself in 1519. 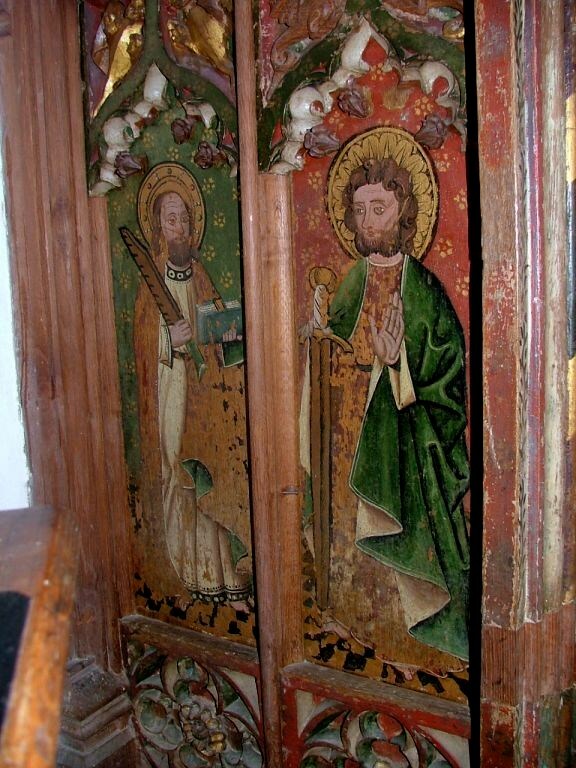 The twelve panels of the dado are in pairs, and depict the twelve Apostles, St Paul being paired with St Matthew. 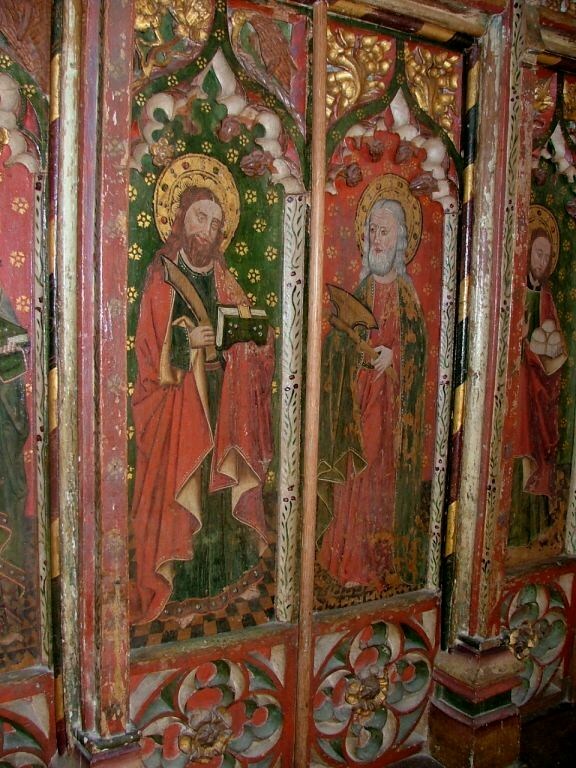 From left to right, the panels on the north side show St Matthew and St Paul, St James the Less and St Jude, and St James and St Andrew. 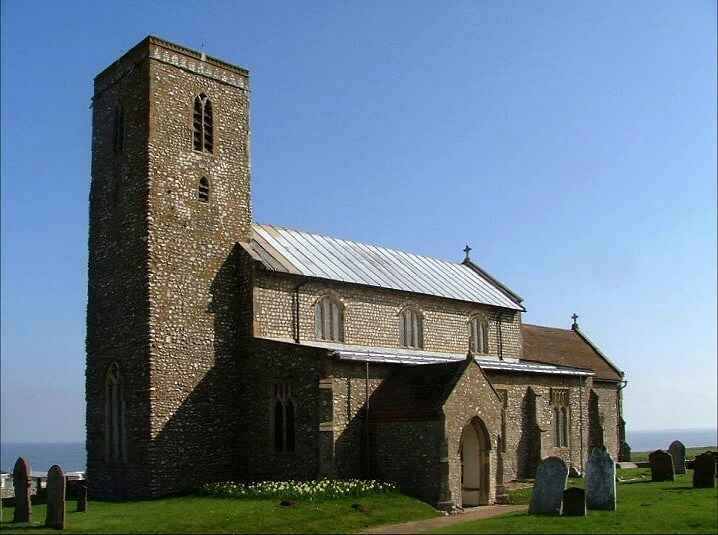 On the south side are St Peter and St John, St Bartholomew and St Simon (with an axe rather than the fish found more frequently in Norfolk) and last of all St Philip and St Thomas. 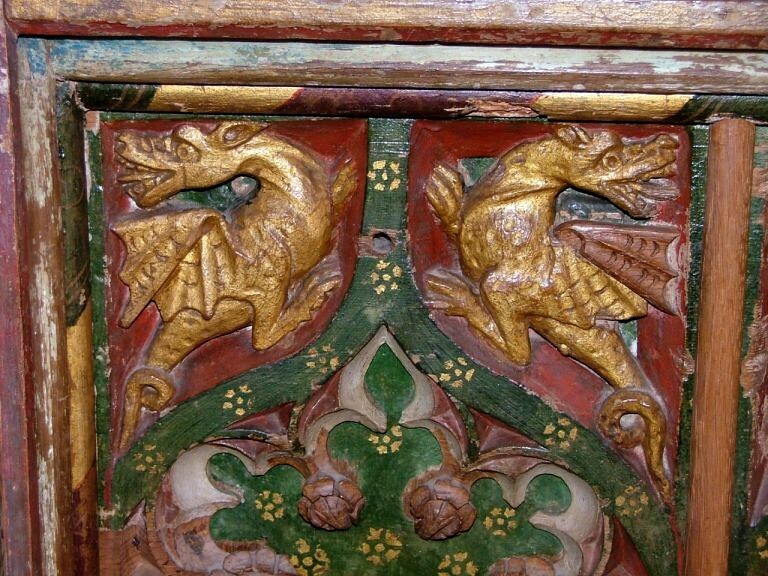 There are some fine dragons in the spandrels. 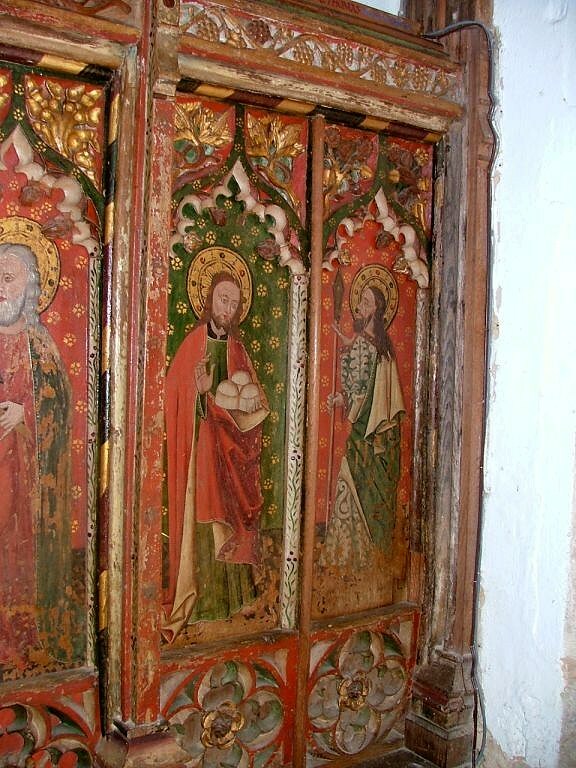 All Saints underwent a fairly fearsome 19th century restoration. 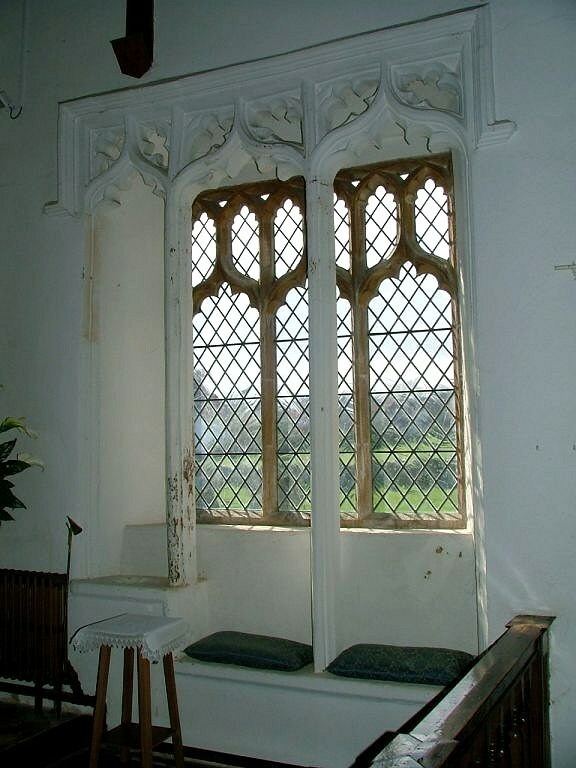 Much of the window tracery seems to have been replaced, although the wonderful 14th century sedilia survives, and most of the medieval features were reset. 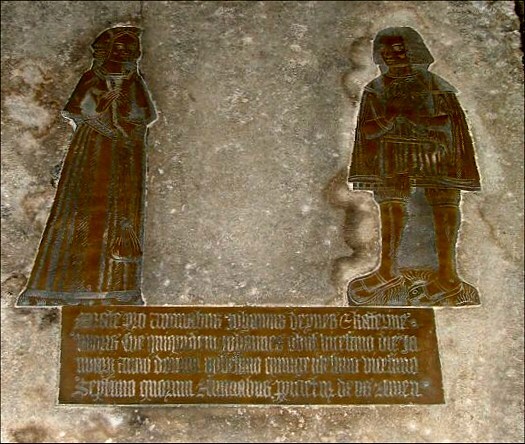 These include some good brasses: John and Katherine Deynes are remembered in figure brasses, on the eve of the Reformation. 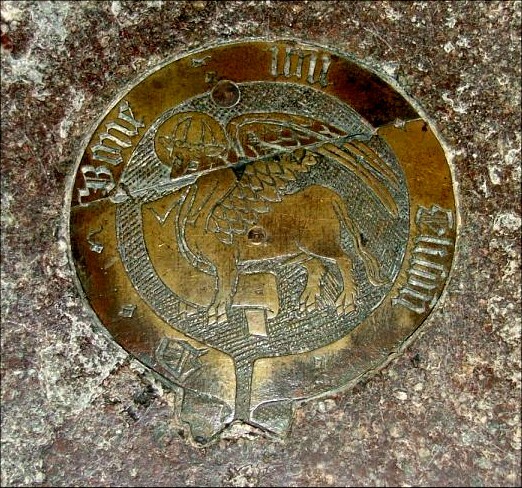 In the middle ages it was common for brasses to have canopies and roundels about the figures, and up in the chancel there is one such 15th century roundel reset on the south side of the chancel an evangelistic symbol of St Luke. 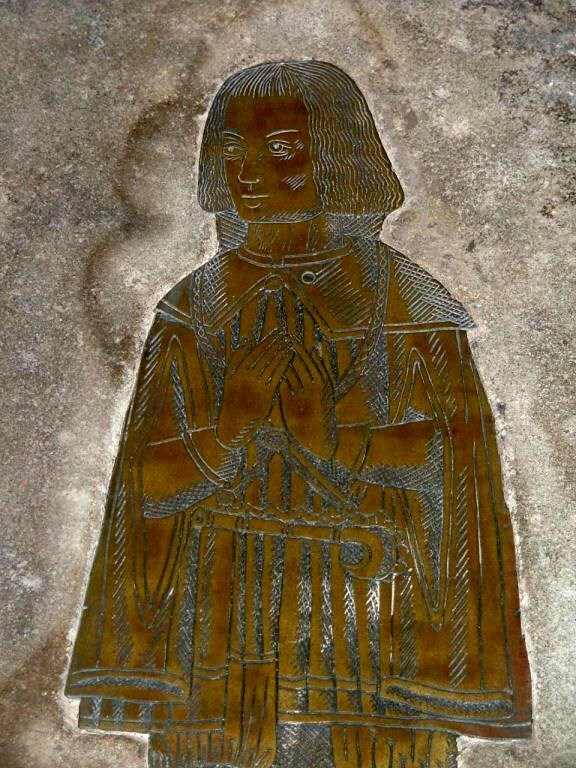 An indentation beside it once held another; Pevsner says of St Mark, but this is now missing. 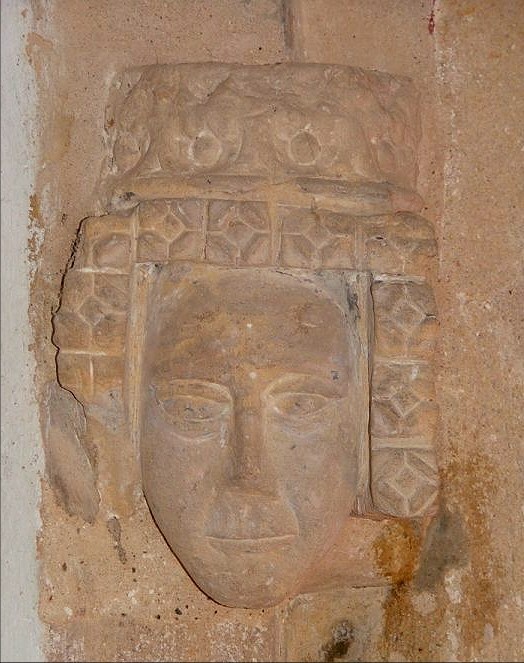 An intriguing puzzle is the pair of corbel heads set either side of the chancel arch. 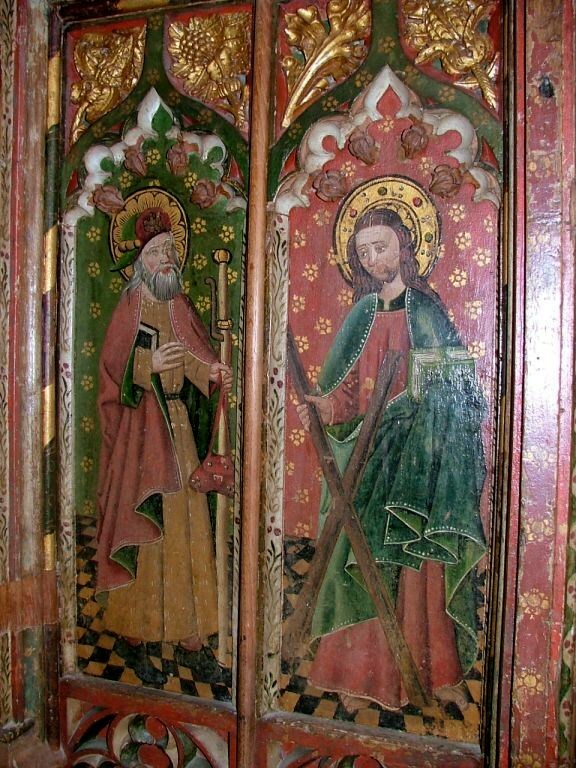 They are only about a metre and a half off of the ground, and I thought that they were too low to have supported anything to do with the rood apparatus. 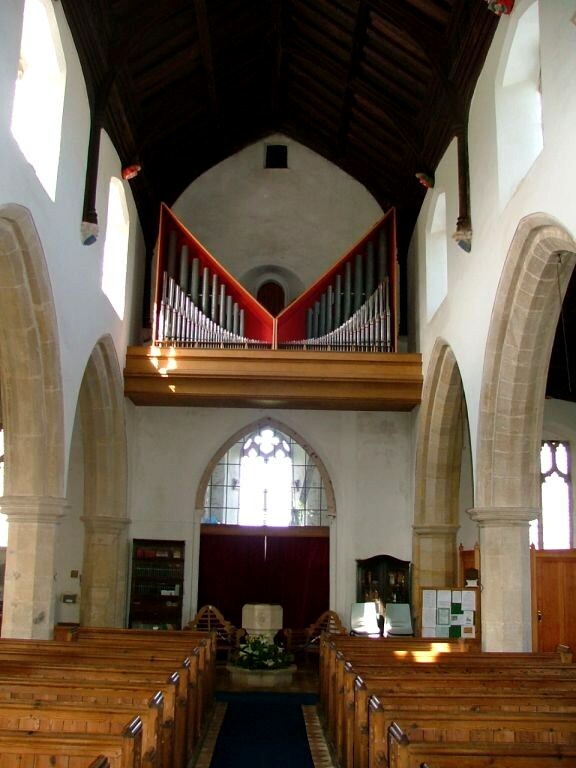 However, I later visited neighbouring Upper Sheringham, where the rood loft floor survives, and is supported by two uprights springing from the floor. 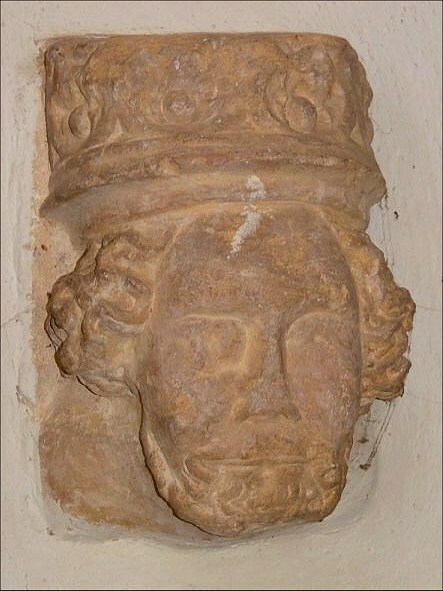 Could the rood loft here have been supported by two uprights springing from these corbels? A fascinating possibility.